The end of a year is a time for many to reflect on the last 12 months. It’s a time to be thankful, a time to look at what you would do differently, a time to reflect on relationships and a time to look at your accomplishments. It’s also a time to plan for the new year. It’s a time to set goals and make resolutions. My regular readers know that I’m a glass half full kind of gal. We might be given a bad hand from time to time but what we do with that is really what’s important. So today, I am thinking of mine and my family’s accomplishments in 2013 and all the things we have to be grateful for. So many wonderful things have happened in 2013… too many to list in fact but I will give you a few highlights. 1. March 3, 2013 was probably the most important day of 2013 for me. It was the day I met Nick, the man I will spend the rest of my life with. 2. 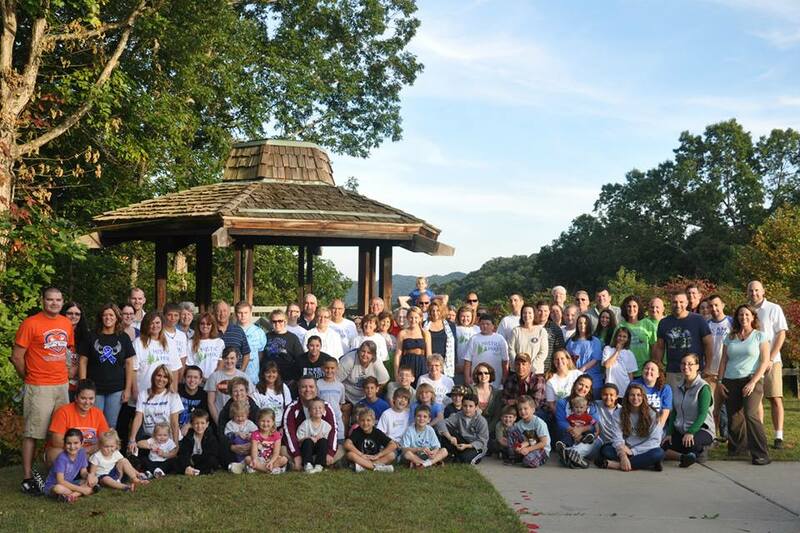 I am grateful for where Histiocytosis, the rare disease my son has been inflicted with, has led my family. I know it might sound crazy but hear me out… I was a person filled with worry and anxiety prior to Joey’s diagnosis. Histio put life in perspective for me. There is no more stressing out about the small stuff… shoot, I barely worry about the big stuff. I know that life will work out. It always does. I now live anxiety-free and it’s awesome. Of course I wish he didn’t have Histio but we are dealing with it. Joey has chosen to be an advocate for the Histio Foundation and Cincinnati Children’s Hospital. He knows he is one of the lucky kids with Histio (no chemo, no organ transplants and he’s going to survive) so he wants to fight for those kids who can’t. 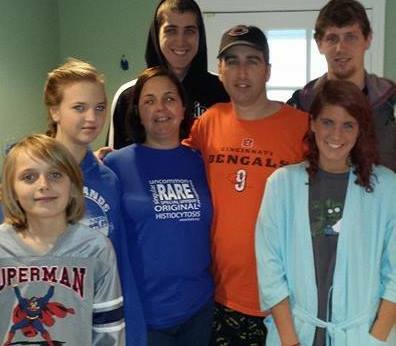 My family (cousins, siblings, aunts, uncles, nieces and nephews) and friends have come together to support Joey in his fight. We have virtually met hundreds of people going though Histio and physically met dozens. 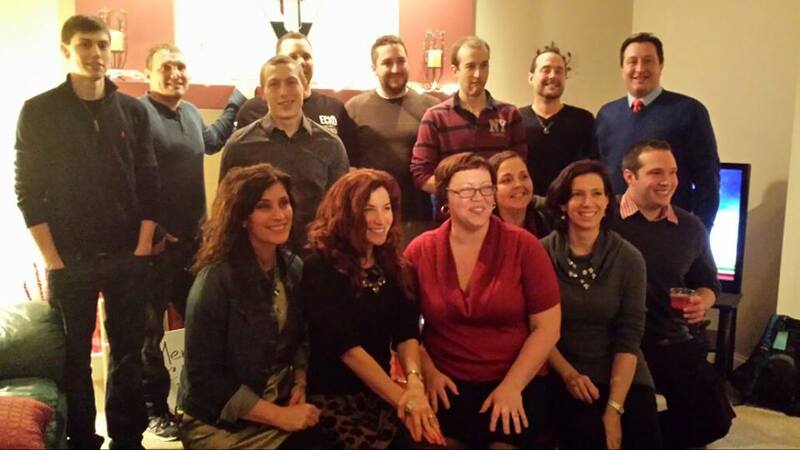 We have developed an amazing support group and built incredible friendships. 3. 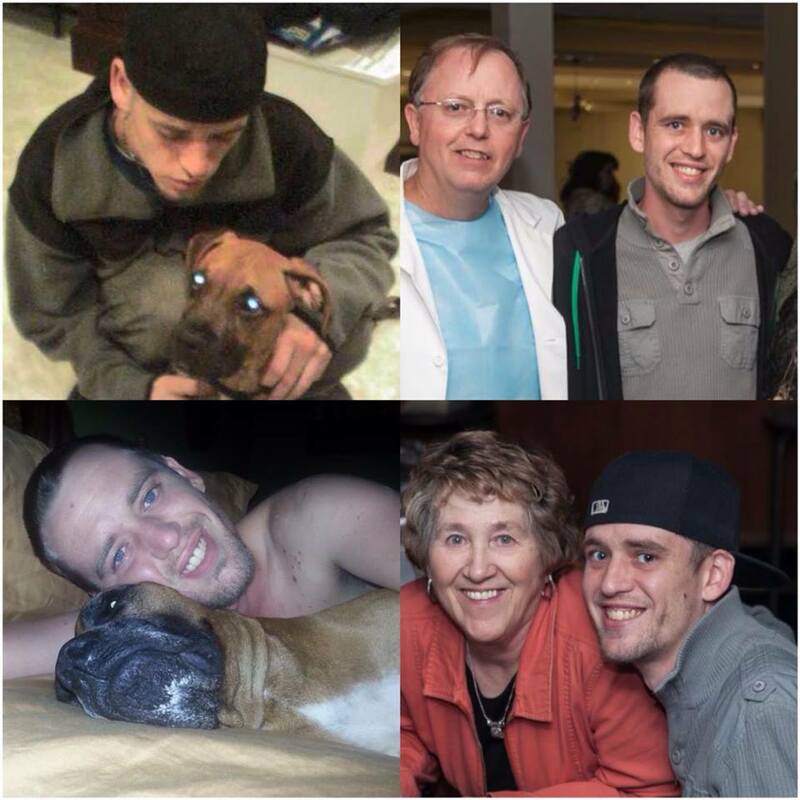 My new family, Nick’s family, dealt with something extremely difficult this year – the loss of Nicholas to an accidental heroin overdose. This would rip most families apart but we didn’t let it. Although we deal with the daily pain of this loss, we have come together to fight the heroin epidemic through NKY Hates Heroin. We have been part of the solution and supported each other during the grieving process. 4. I am grateful to watch mine and Nick’s five children grow into wonderful young adults. Joey started middle school and Andi started high school. They have both done amazing with the new challenge. Joel joined the National Guard. Jordan graduated this year and committed to going into the Coast Guard in the spring. Josh finished his junior year of college and created a plan for himself. I’m very proud of all five kids. 5. We have had a lot of new life in our family. Nick’s niece brought our newest family member into the world just last week – Keegan. Nick’s nephew and his wife also had a child this year. Two of my cousins announced their pregnancies and are due in late spring. Three of my cousins had beautiful baby girls this year. I love being surrounded by all the babies, playing with them, feeding them and then giving them back when I’ve had my fill. This year has definitely thrown some challenges at us but we our strong and have made the best of each situation. 2013 has also brought some pretty wonderful things and people in our lives. 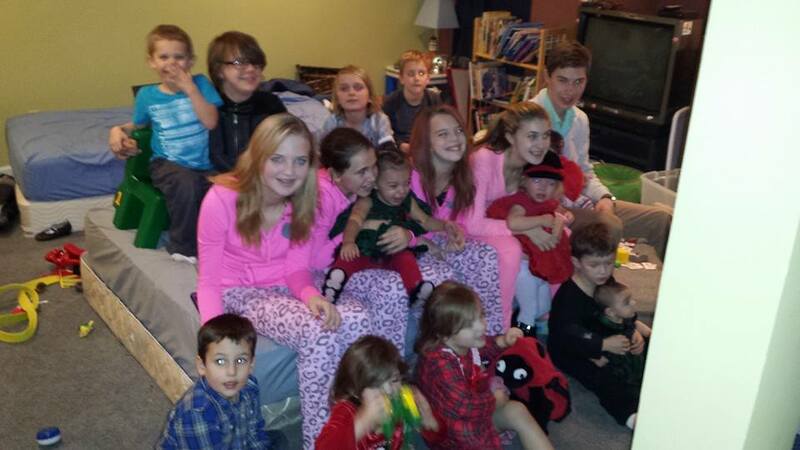 I can’t wait to see what 2014 has in store for the Holt/Stegner family. Bring it on! What is your best of in 2013? What are you looking forward to in 2014? I constantly have to sneak vegetables into my families food. I spend a lot of time chopping zucchini, eggplant and mushrooms to hide in chili, lasagna and anything else I can come up with. But I found a way to save time and still get veggies in my family with the help of The Sneaky Chef. Missy Chase Lapine, a New York Times bestselling cookbook author, created Sneaky Chef foods. Each product is packed with real vegetables. This makes my day easier since I don’t have to spend time chopping and blending veggies into our dinner. The Sneaky Chef Foods are all-natural, and have no corn syrup, artificial colors or flavors or MSG. Several are also gluten-free. The products are coming to Remke’s in the Northern Kentucky/Greater Cincinnati market. I had the opportunity to try the entire line of Sneaky Chef products. 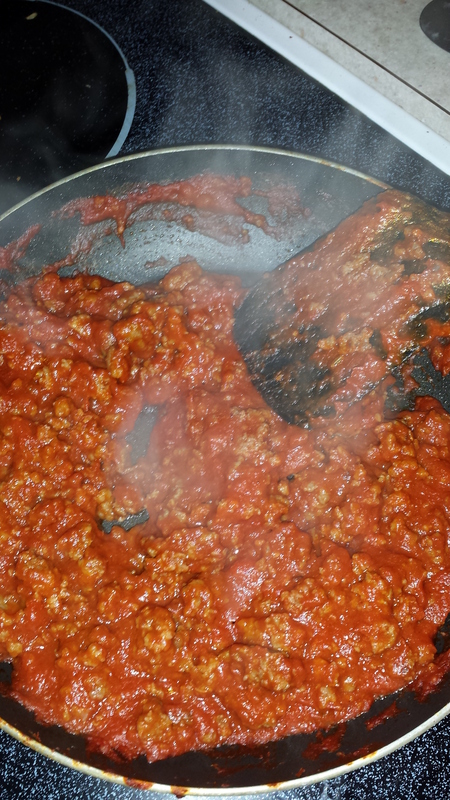 My whole family loved the Sneaky Chef Pasta Sauce over the Sneaky Chef noodles with ground Italian sausage. The sauce is made with tomatoes and eight hidden vegetables, including cauliflower, zucchini, carrots, sweet potatoes, bell peppers, yellow squash, celery, and onions. The pasta are made with six hidden vegetables including broccoli, carrots, shiitake mushrooms, tomatoes, spinach and beets. My family had no idea that there was dinner was filled with these awesome nutrients. And my daughter loved wearing the apron while helping. 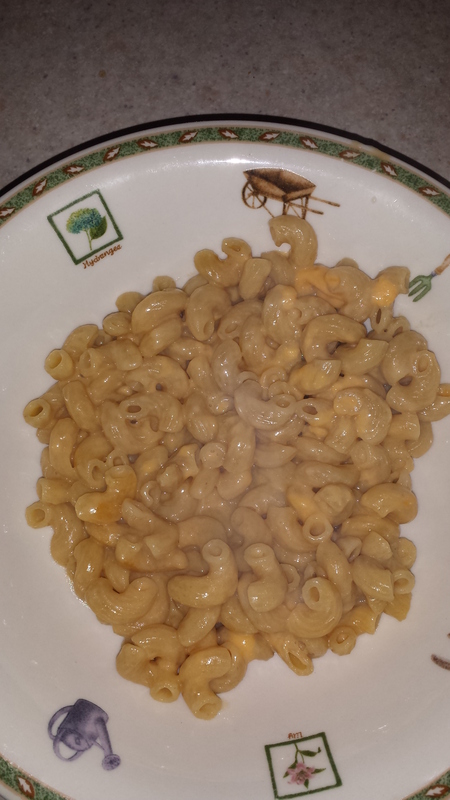 We used the veggie elbows to make one of our household favorites – macaroni and cheese. I didn’t feel so guilty about serving them a pasta mixed with cheese, butter and milk since it is also filled with vegetables! It was yummy. Sneaky Chef makes a No-Nut Butter that is a perfect peanut butter substitute for kids and adults who suffer from nut allergies. Sneaky Chef No-Nut Butter is made from golden peas, which are naturally sweet and nutty, giving it the flavor of nut butters but it is 100 percent peanut-free, tree nut-free and soy free. You can use it to make sandwiches or bake. Entry #1 Like The Sneaky Chef Facebook page and comment here that you did. Entry #2 Share this giveaway with friends on Facebook. Be sure to tag Raising2tweens in your post. Comment here that you did. Entry #3 Comment below why you’d like to win products from The Sneaky Chef. Entry #4 Like Raising2tweens on Facebook and comment here that you did. A winner will be randomly picked Sunday, Dec. 22 at noon. The winner will have 24 hours to respond or another will be chosen. Want another chance to win? Check at the Healthy Hen! 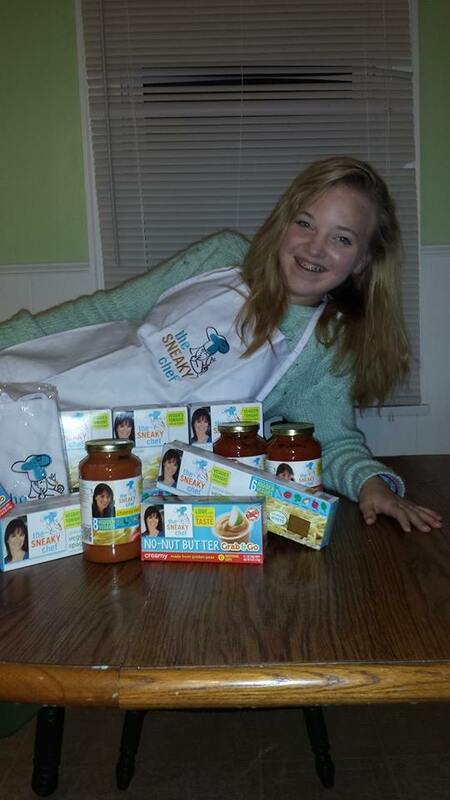 Disclaimer: I was provided with products from The Sneaky Chef line to review for this giveaway. All opinions are my own. I discovered one of the BEST restaurants in Greater Cincinnati last night. Every bit of food INCREDIBLE, the staff was amazing, the decor was inviting and best of all… it is all for a great cause. 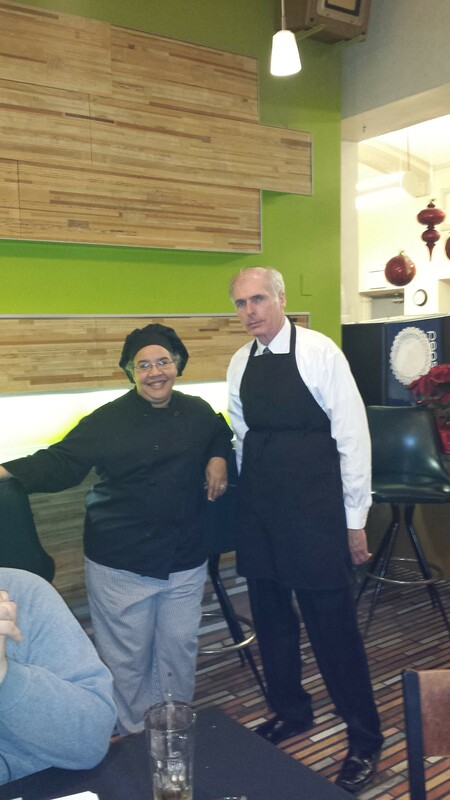 Venice on Vine is owned by Powered Inspires Progress, a nonprofit, which provides paid training in a supportive work environment with high expectations and varied experience. So here is how it works…Venice on Vine, which is a traditional restaurant that also provides catering, hires people who are considered at-risk to hire. They might not have a high school education or maybe they spent time in jail or they might be fresh out of rehab… whatever the reason, they are having a hard time securing employment. So they start working at the restaurant as a dishwasher. They gradually move up to different positions like cook, bus boy, server and cashier. During this time they learn how to follow a recipe, as well as other instructions, improve their math skills by doubling or tripling a recipe, to clean well, interact with others, keep their cool dealing with the public, develop interpersonal and communication skills, how to cater an event and working a cash register. They work at the restaurant 22 hours a week for one year. During that time, community volunteers work with them to develop computer skills, craft a resume, practice interviewing and work on getting their GED or any other piece of education they need. All employees must pass a drug test. PIP empowers trainees to further their education, providing instruction in basic life skills and paid job-training. Pretty amazing! So when I heard this story I had to wonder how the food would taste. Would it be frozen pizza? Bagged salad? NOPE! There was nothing store-bought about this meal! All of the sauces, dressings and desserts were homemade. 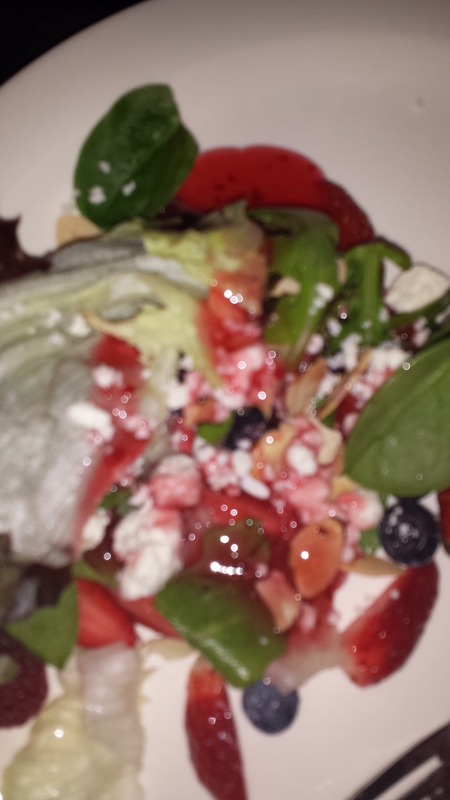 I started with a delicious green salad that had fresh fruit, almond slivers and feta with a homemade raspberry dressing. I was in heaven! 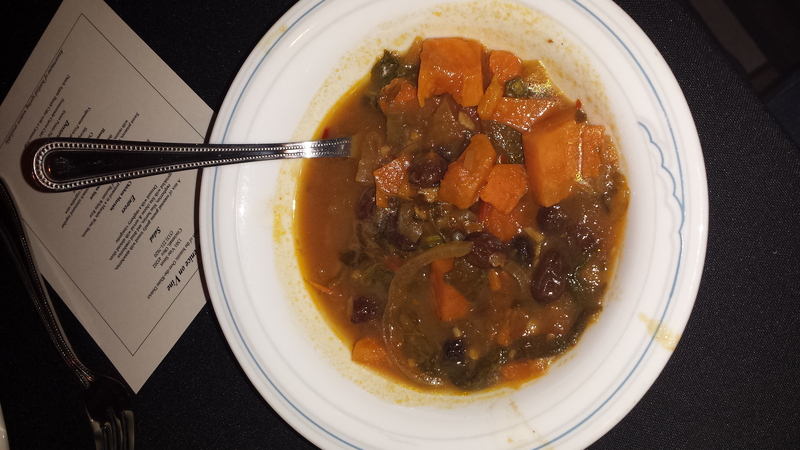 Next I had the Vegan African Stew. I was reluctant to try this but am so glad I did. I seriously could have licked the bowl clean. It was the perfect combination of spicy and sweet. 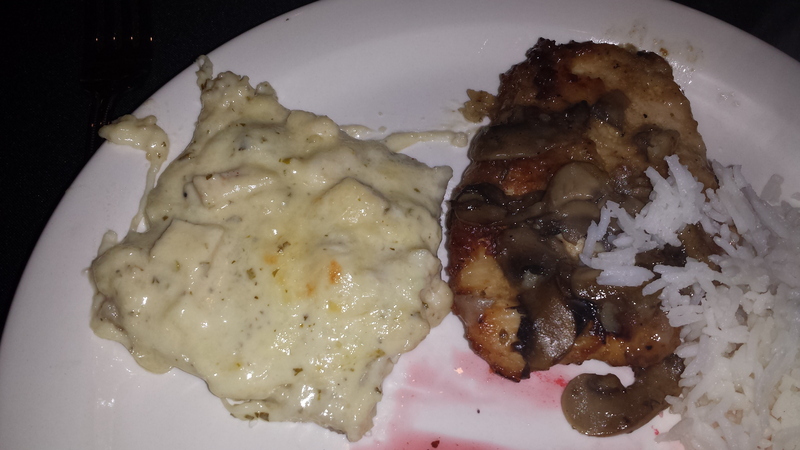 The chicken Marsala was next. The mushrooms soaked in the homemade wine sauce made this dish! I enjoyed the deluctable chicken alfredo pizza. It was so cheesy. The crust was perfect. 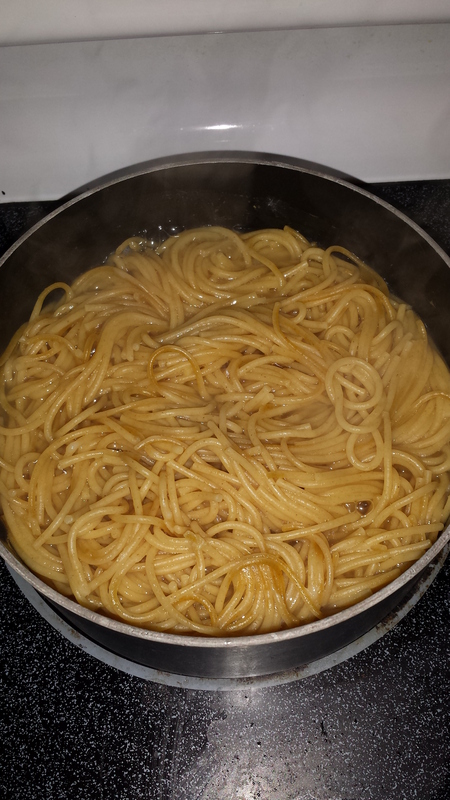 The sauce was delish. Oh yum! Dinner wouldn’t be complete without dessert though. 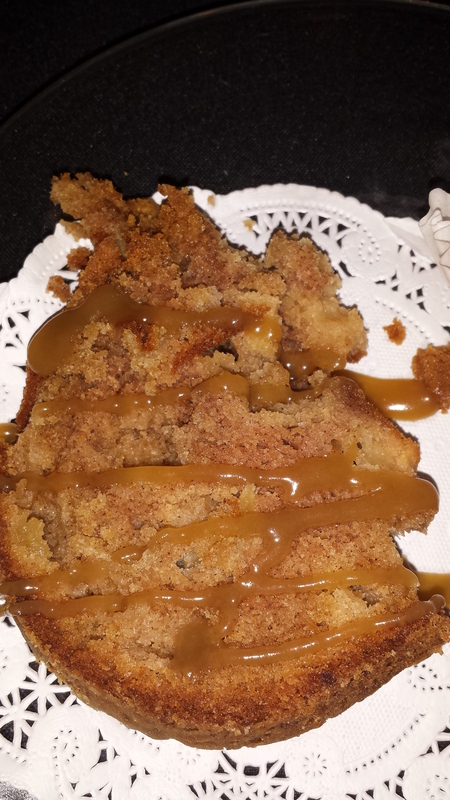 I went for a piece of carrot cake and the apple cake with caramel drizzle. 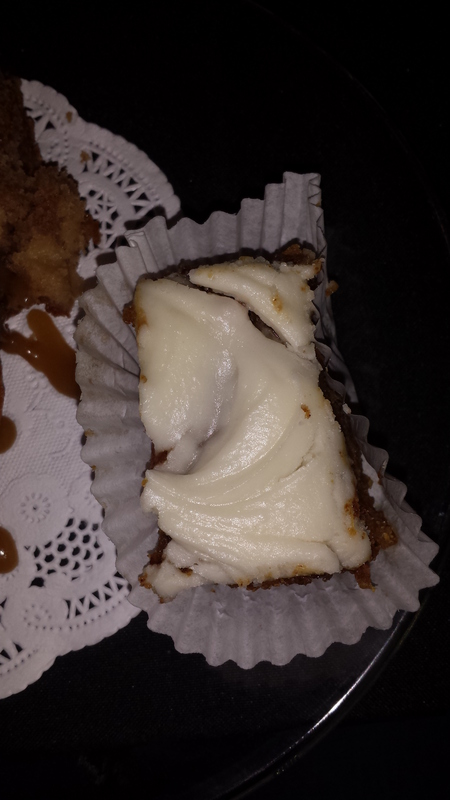 Both were to die for but I have to say I haven’t stopped thinking about that carrot cake since the first bite. I already told my boyfriend that I want carrot cake from Venice on Vine for my birthday (yes, they have carryout). I had the opportunity to try a combination of the restaurant and catering menus last night. You can view both menus on the website. 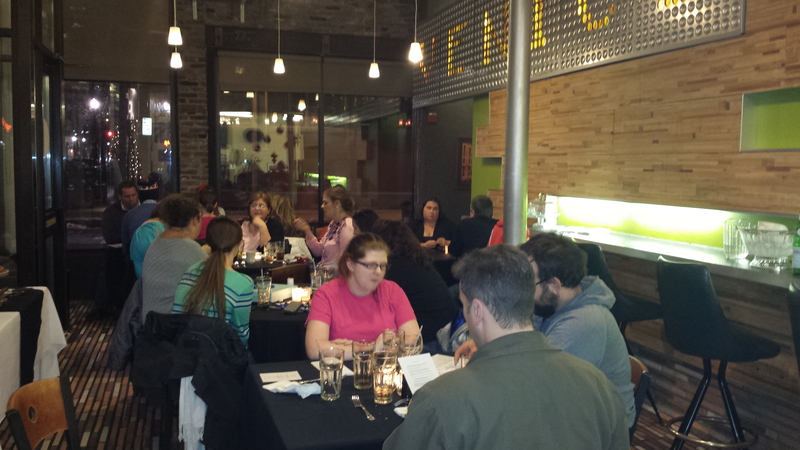 There are a lot of great restaurants in the Greater Cincinnati area. Shoot, there are a lot of great restaurants on Vine Street in Over the Rhine. But there aren’t a lot of great restaurants that operate as a non profit, higher people who otherwise probably couldn’t get a job or train their employees to help them find a better job. 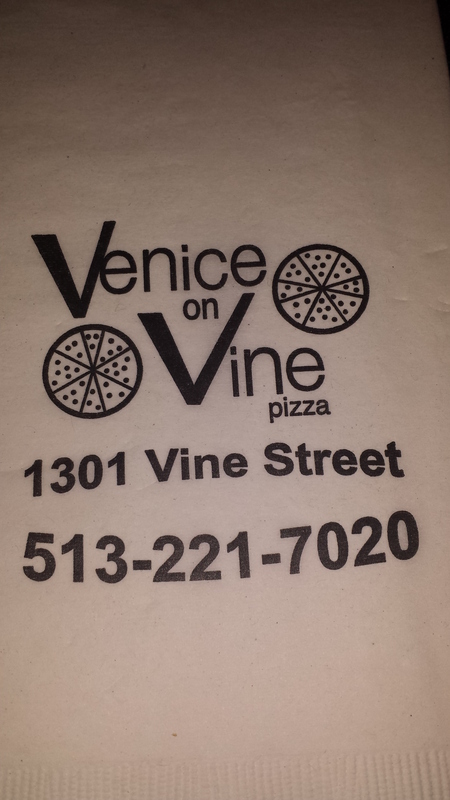 So the next time you are heading out to dinner or hiring a caterer, try Venice on Vine. I’m pretty sure you won’t regret it and you’ll be helping out a great cause. 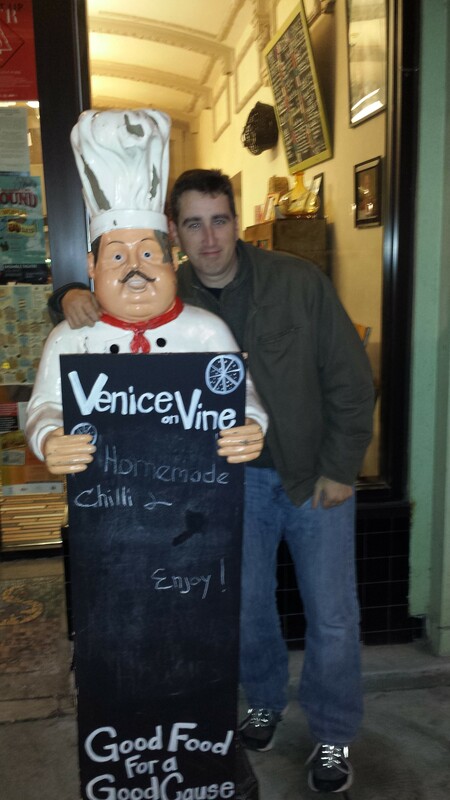 Have you been to Venice on Vine? What did you think? P.S. Check us out on Facebook. Personally, I love the Nutcracker! This is the perfect opportunity to introduce your kids to the art of ballet or take a break and go with a friend or as a date night. I love to have dinner or lunch at Nicholson’s Pub before or after the show. Performances run Dec.20-22, and Dec.26-29 at the Aronoff Center. Single tickets start at $32, and may be purchased by visiting www.cballet.org. Thanks to the generosity of the Cincinnati Ballet, we have 2 tickets to see Frisch’s Presents the Nutcracker at the Aronoff to give away to one lucky reader. GIVEAWAY: Thanks to the generosity of the Cincinnati Ballet, we have a voucher good for TWO TICKETS to see FRISCH’S PRESENTS THE NUTCRACKER at the Aronoff Center Dec.20-22, and Dec.26-29, 2013. 2. Like Raising2tweens on Facebook and comment here that you did. 3. Share this post via Facebook and tag Raising2tweens and comment here that you did. All entries will be verified. You must comment separately for bonus entries. Entries must be submitted by noon on Saturday, Dec. 14. One winner will be randomly selected using random.org. Good luck!